Food cravings do not come with any warnings. Your favourite dish being merely a click away is a god-sent at times as such. This is what Meal Deal, a completely local food delivery service, promises to bring as they revolutionize the food industry with their website and mobile app launch. The mission statement sums up what the platform stands for; to bring delicious food right to the customers’ doorstep. 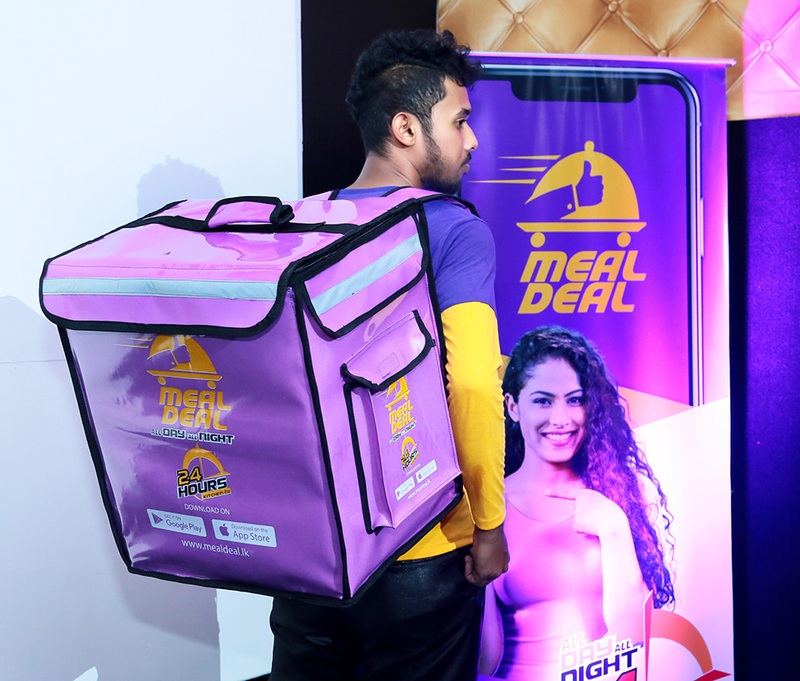 Meal Deal is the first ever fastest food delivery platform which boasts of its own kitchen apart from the partner restaurants. This ensures that food delivery is a possibility 24/7 with a variety of dishes ranging from Sri Lankan, Western, Indian, Chinese and many more cuisine to choose from. The partner restaurants include Shanghai Terrace, Loon Tao, The Royal Bakery, Almonds, Pillow Hotels, Il Cielo, Tsing Tao, Berlin Sky Lounge, The Cakery, The Food Station, Elite Indian Restaurant and Tsukiji Uoichi. “We have started our journey with the aim of changing the way food delivery is seen and experienced. As an initial step we are focusing on Colombo and look forward to widen our network in the future. We are dedicated to share our passion for good food with food lovers everywhere and this inspires our team to always go the extra mile for our partners and customers,” commented Prasad Ranasinghe – Founder of Meal Deal. For the partner restaurants, Meal Deal is the best way to widen their customers reach so that they take their specialties to the doorstep of their customers rather than wait for them to patronize the restaurant. Furthermore, this enables the restaurants to focus on creating the favourite food and leave the delivery to those who do it best.